Guess how many drone pilots who fly drones commercially without having the required commercial license have been busted since August of 2016. Must be thousands, right? Maybe tens of thousands even. Not quite. One. Yep, one pilot was punished by the FAA for operating a drone commercially without a commercial license. So he must have gotten that huge $30,000 per violation fine the FAA is always warning us about, right? Uh, no. He got a warning letter. Well they must be focusing their enforcement efforts on people who are flying drones in a dangerous manner. Like people that fly beyond visual line of sight, or above 400 feet, or over people. You know, like you see in thousands of YouTube videos. I bet the FAA is hammering those people left and right. Actually left, right and center. There have been three enforcement actions for people violating operational rules. Their punishment? They either got a warning letter or had to take a safety course. Wow! They really threw the book at them. Sally French, the Social Media Editor and Drone Reporter for MarketWatch has published an excellent article about her investigation of the total lack of enforcement of the drone laws and regulations by the agency that developed them in the first place. 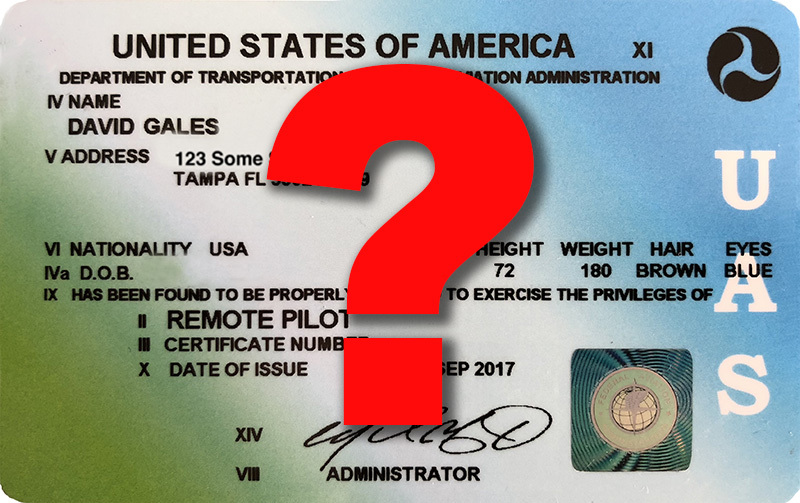 The FAA has been on the ball when it comes to collecting tens of millions of dollars in testing and registration fees. But they have been completely in enforcing the regulations they demand we follow. In the end, their failure is going to hurt the industry as a whole. It hurts people who are trying to earn a living flying drones as they are continually undercut by people who are not following the rules. But it hurts recreational flyers. There is no shortage of people flying drones in ways that are potentially dangerous. If there is never a consequence for their behavior they will continue to do it. Eventually there is going to be a serious incident involving a drone. One of my favorite lines in the MarketWatch article is a quote from someone at the FAA, "An FAA spokesperson added that the agency typically wants to educate, not punish, violators. . . " Now if only we could get the IRS to adopt that philosophy! Thank you for your excellent work, Sally. I would hope it would light a fire under the FAA. It is time for the to do their job and enforce the rules they have enacted. If they are not willing to do that I believe they owe us an explanation. You made the rules. Now enforce them.